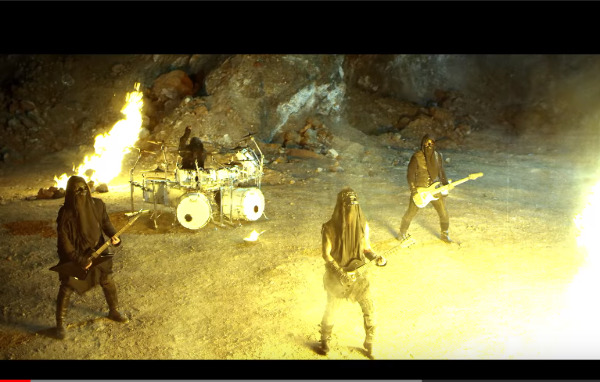 Behemoth au colaborat din nou cu cei de la Grupa 13 pentru un clip al piesei 'Ecclesia Diabolica Catholica' inclusa pe cel mai recent material al polonezilor, "I Loved You At Your Darkest". "Since we began the writing process, 'Ecclesia Diabolica Catholica' was a stand-out contender to be featured as a single and music video. As the song evolved during rehearsal and recording, it gained this lively, furious vibe... which you hear now — thus it includes live performance elements which we've not done in quite some time. We are happy to work with Grupa 13 once again — and once again, they showed their super-professional approach at every step of the shooting and video production. Two separate locations, hours of preparation, but it was all worth it. In absentia dei, we evangelize! Enjoy!"